How is he already two? 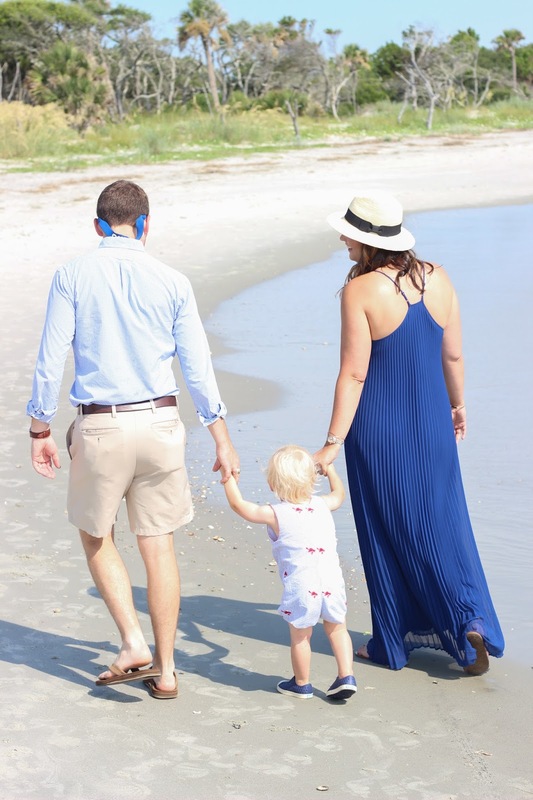 We were able to plan a super quick getaway to Charleston a few weekends ago (you can read more about our trip here) and couldn't resist taking advantage of one of our favorite beaches, my dear friend Cait's photo skills and our baby boy's second birthday for a family photo session. 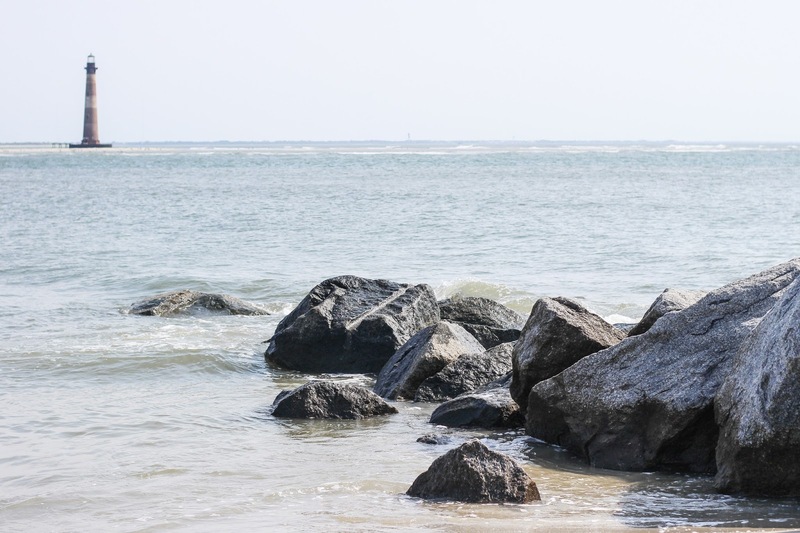 We were able to take photos on Folly Beach with the historic Morris Island Lighthouse in the background, so it's only fitting that I'm sharing some of my favorites in honor of National Lighthouse Day on August 7th. Believe it or not, Justin and I met in Charleston and spent our very first day together on Folly Beach. I honestly can't believe how our life has taken us full circle and we are back on this stretch of beach with our son. I am just so grateful for our family. And the scenery isn't too bad, either. It's worth noting that despite my posture in the below shot, I am not pregnant and this is not an announcement - so don't even go there! If you're visiting the Lighthouse with a babe in tow, like we were, just follow East Ashley Ave in Folly all the way to end. You'll spot a gate and a wide, paved path - that path is (thankfully!) 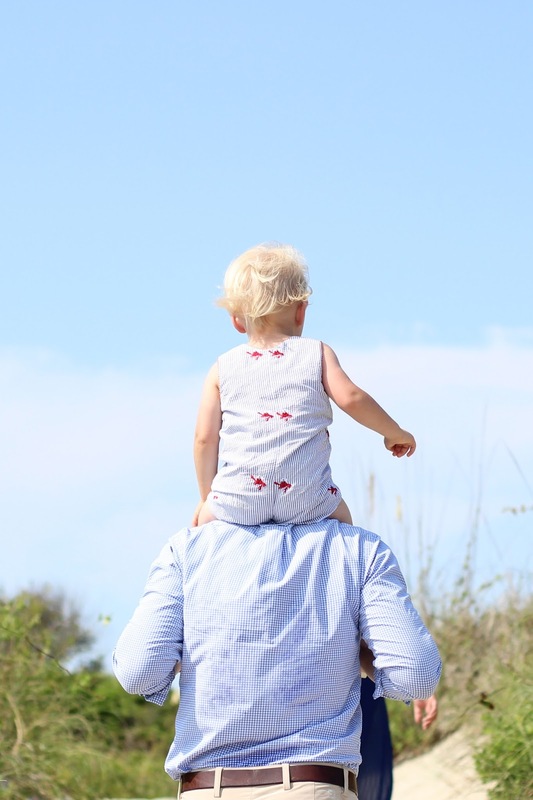 super flat and easy to navigate with a stroller, bikes or wagon - just don't plan to have your toddler walk it or you will be stuck carrying him most of the way! Once the paved path ends, you'll find yourself on a gorgeous stretch of wild beach protected by Parks and Rec. It could not be a more gorgeous stretch of beach for playing, exploring or snapping photos. 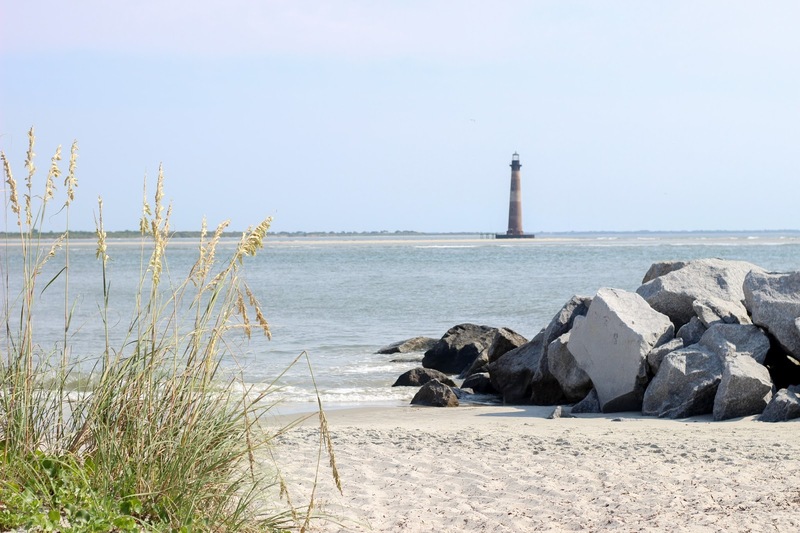 While the Morris Island Lighthouse is inaccessible by land (due to erosion), you can play the tides in your favor and actually walk the sandbar off of Folly to visit the small stretch of island that holds the Lighthouse. There are also boat tours that can ferry you around the Lighthouse and you'll get a great view of the Ravenel Bridge. Those blonde locks blowing in the wind make me laugh every time! It's safe to say that we are overdue for a haircut. If you grew up near the water like I did or are a fan of Lighthouses, you'll be pleased to know that SeaPak is partnering with the U.S. Lighthouse Society to encourage and facilitate lighthouse preservation and education. The brand is supporting these efforts with a $10,000 grant to be awarded to the Morris Island Lighthouse this National Lighthouse Day, which is August 7th. I'm personally thrilled to know that the Morris Island Lighthouse will be preserved so that Justin and I can continue to bring our family here over the years - you know, to show them where Mom and Dad met (and remind them that we used to be cool). 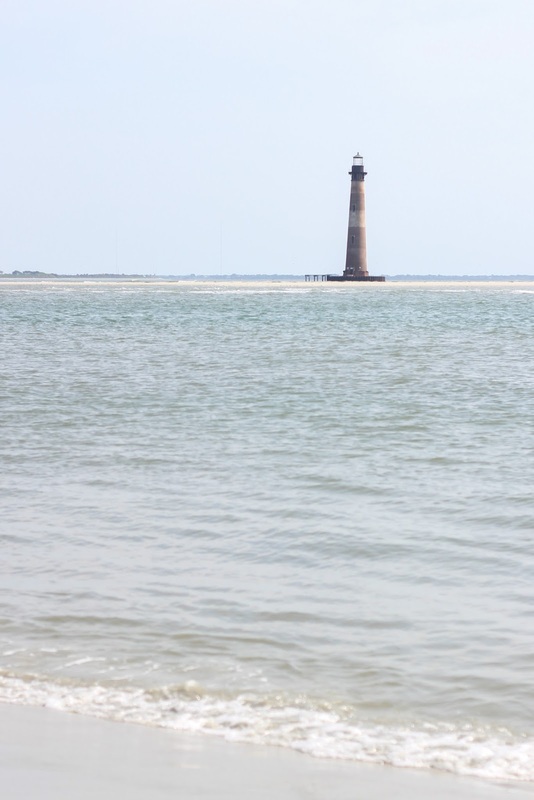 If you aren't in the South Carolina area and can't visit the Morris Island Lighthouse, you can find a lighthouse near you by clicking here. Many, many thanks to Cait for sweating it out with us, not batting an eye at the toddler shenanigans and being such a great friend - I knew you would nail it, Cait, and man did you ever! And P.S. SeaPak sent us their new Lighthouse Selections product line and because I was missing Charleston so much, I whipped up a shortcut recipe for my famous Shrimp and White Cheddar Grits recipe, which is coming to the blog very soon! Thank you to SeaPak for sponsoring this post and our trip to the Morris Island Lighthouse - we were so excited to have the opportunity to spend time in a place that is so special to us. All opinions are my own. I had so much fun with you and the boys! This is one of my new favorite spots in the Charleston area, so gorgeous!! PS You rocked that dress + I always stand like that when I'm holding R! These pictures are so beautiful! Charleston is such a special place for us too - it's where we got engaged! :) BTW that dress on your is gorgeous!! Adorable and love these photos! Thank you for your support of the Morris Island lighthouse! Beautiful pictures! You look great mama!!!! I cannot wait to have pictures like these when HC gets Gray's age!